End the year on a high note in Los Angeles with world-class cuisine at acclaimed restaurants. 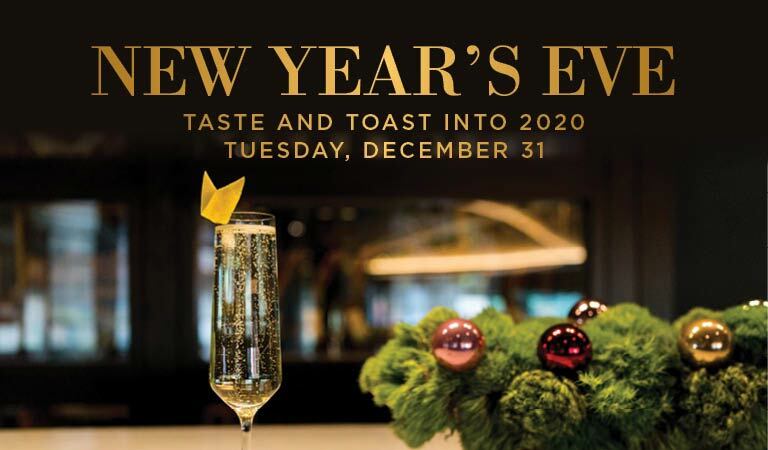 All our restaurants listed below will be serving a special New Years Eve menu in 2019. You can email us to be the first to know when reservations open up, or just check back here for more information and menus as they become available. Take in the sights of LACMA as the sun sets on 2019 with unique dishes from Executive Chef Fernando Darin. Experience award-winning culinary heritage this New Year's Eve with Executive Chef Andreas Roller. Ring in the new year with French regional favorites by Chef Jean-Pierre. Celebrate the new year amongst the glimmering backdrop of Downtown Los Angeles. End the year with the finest ingredients from USDA Prime steak, fresh seafood, and inventive signature dishes.